Today, Kevin Smith joins host Steve Edwards on the Afternoon Shift. Steve will talk with Smith about his career and about his live stage show he&apos;s performing at the Just for Laughs festival next week at the Chicago Theater. When we booked Smith for the interview, the question came up about what to talk about. Sure we could talk about the illustrious career of one of the true independent filmmakers. The movie Clerks is arguably THE independent film of my generation. And watching Smith and the View Askew crew continue to work in Hollywood puts a smile on all 35- to 40-year-old dudes. This is our filmmaker and we&apos;re proud of his accomplishments. We quoted every line from Clerks. We discovered Jason Lee (Mall Rats). We fell in love from Chasing Amy. But then again, maybe we should talk to Smith about his time in Hollywood and his experiences with movie companies and celebrities. He has made a market out of telling the most unbelievable stories from his world. Whether it be the hilarious story about working with Prince, the botched Superman movie (and the robotic spider love) or more recently, his set-clearing fight with Bruce Willis, Smith has found a new medium to entertain. Essentially, he&apos;s taken the Q/A that usually is reserved for after screenings and put them on stage in front of a paying audience. That&apos;s what he is doing at Chicago Theater. 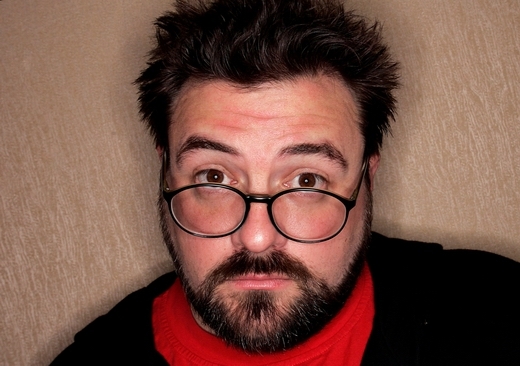 But what I want to focus on today with the interview is Kevin Smith and his Smodcast network. Smith has teamed up with his friends (including Jay Mewes & Scott Mosier) to create and produce daily podcasts. You can hear Smith and his crew wax about their lives and their experiences in a fresh, unformatted style. And it&apos;s not one podcast. Smith has put together several podcasts, creating an extensive network of alternative culture. There are podcasts about comic books, podcasts about Hollywood, a podcast about SNL by Jon Lovitz. The list goes on and on. And in a blink of an eye, Smith has transformed himself from indie filmmaker to Hollywood director to media mogul. Not bad for a Jersey kid who taught us that movies were easy to make and that our lives working in the quickie-marts and video stores of the world could be high drama. Tune in today in the 3 p.m. hour for the Afternoon Shift.